With many global championships commencing in the coming months, and some that have already started, there are plenty of Aussies taking on the challenge of racing the world’s best in 2019. To keep you up to do date of who’s racing where, we’ve compiled a selection of burning questions and answers on Aussie riders racing full-time overseas. Q: The AMA Supercross series is in full swing at the moment, which Aussie riders are taking part? A: There’s always a mixture of Aussies in the Monster Energy AMA Supercross Championship, and this year is no different. Of course, Chad Reed’s in the mix as always – this time with JGRMX Yoshimura Suzuki Factory Racing. As the series heads east next week, Hunter Lawrence will make his debut on the AMA pro circuit with Geico Honda, which is going to be one of the most exciting campaigns to keep eye on, while currently in the 250SX West division, Tomas Ravenhorst (Husqvarna) is trying his hand in the championship for the first time – so far the Victorian has come incredibly close to making a main, but has just fallen short of a transfer position. Q: With Hunter Lawrence departing the MX2 World Championship and Todd Waters back in Australia, will there be anyone representing the country on the world stage? A: Absolutely! After breaking both his legs in the championship last year, Jed Beaton is back for another campaign in the MX2 category. 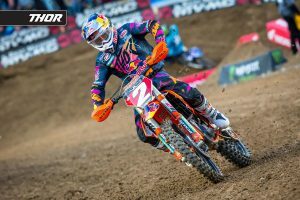 His series of strong performances at the beginning of last year ultimately earned him a seat at Rockstar Energy Husqvarna Factory Racing, granting him the best opportunity for success. 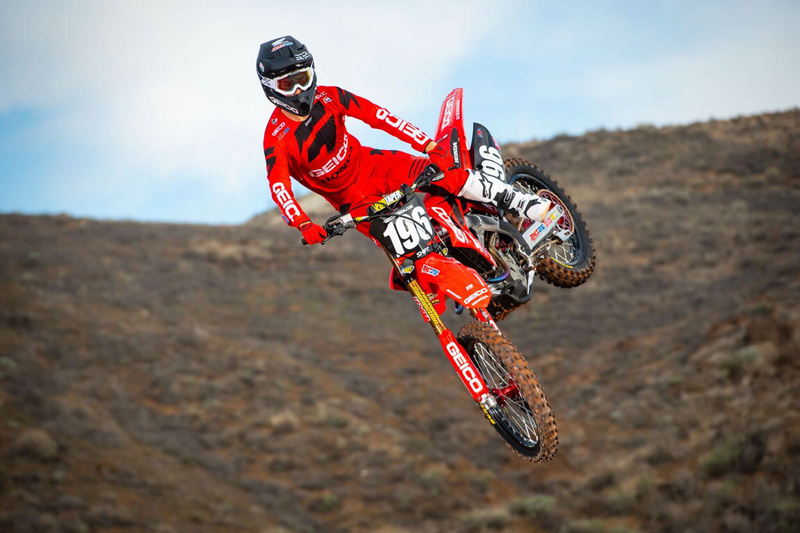 Joining him in the division is world championship newcomer Mitch Evans, who’s effectively taken the spot opened up by Lawrence’s departure at Team 114 Motorsports Honda. Q: What about other championships in Europe? A: Of course, Australia’s presence in Europe extends beyond the world championship. 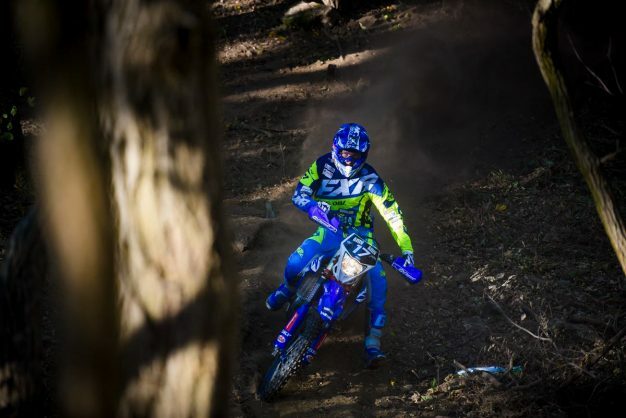 Western Australian and former 65cc world champion Caleb Grothues will be challenging the EMX250 class in the European Motocross Championship with SDM Corse Yamaha. It marks his third-consecutive year in the series, and after a change of teams halfway through last year transferring to the David Phileppaerts-operated squad, he showed plenty of potential. 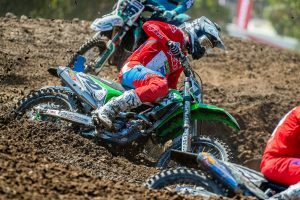 Oh, and if his top 10 performance at the opening round of the Italian motocross championship last weekend is anything to go by, then he’s in for a promising year. Q: Australians have gone pretty well in off-road and desert racing in recent years, surely there are a few contenders taking it to the world’s best? A: There’s quite a broad and spread out contingent of Aussies in the off-road scene globally. Of course, there’s Toby Price (Red Bull KTM Factory Racing) who just won his second Dakar Rally crown, and once he recovers from his broken wrist, he’ll be back in the FIM Cross-Country Rallies World Championship to defend his crown. If you missed Dakar, there were a few more Australians taking on the challenge, including Rodney Faggotter (Yamalube Yamaha Rally), Ben Young (KTM) and James Ferguson (KTM). Aside from that, Wil Ruprecht will be entering his maiden campaign in the FIM Maxxis EnduroGP World Championship in the EJ class with Johansson MPE Yamaha EnduroGP Team, while Josh Strang and Tayla Jones will be fighting it out in the GNCC. Q: Dean Ferris isn’t hanging around to defend his MX Nationals crown, so where is he heading? A: To the Lucas Oil AMA Pro Motocross Championship, that’s where! 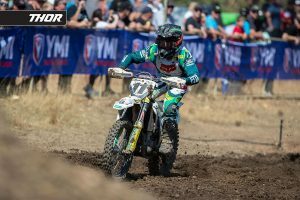 It was one of the biggest storylines to come out 2018 when Ferris declared he’d be heading to the USA after winning three-consecutive Pirelli MX Nationals MX1 crowns. At the time, he didn’t have a deal in place, and still at this point, nothing has been made official. When we last touched base with him December, he was adamant on being in the final stages of a closing a deal, and from what we understand, his big move to the country is just around the corner.